Supporting Emerging Aboriginal Stewards (SEAS) Community Initiative is a youth program initiated by First Nation community partners together with Nature United (formerly TNC Canada). Local programs are designed to engage, develop, prepare and empower Indigenous youth to become the next generation of stewards in their communities and territories. SEAS programming works to spark and strengthen the connections between youth and the natural world around them. First started in 2009, the SEAS Initiative has supported youth in four communities in the Great Bear Rainforest of British Columbia as well as the Lutsel K'e Dene community in in the Northwest Territories. Working collaboratively with Nature United, each community partner develops and designs a program uniquely suited to the community's priorities, needs and opportunities for engaging youth in stewardship learning and activities. Programs integrate traditional and cultural knowledge with western science approaches, and typically have both a school component and a summer internship component. Local SEAS school coordinators work with school administrators, teachers, elders, leaders, community organizations and educational partners to offer new ways for students to learn about and directly experience the lands, waters, ecosystems, cultural traditions and traditional practices of their homelands. Classroom activities highlight the ecology and cultural importance of each partner First Nations’ traditional territory. Outdoor natural history sessions led by local elders, naturalists and scientists help students build outdoor skills and expand their knowledge of plants and animals. Mentorship and learning programs that link students with elders, researchers, and professionals within their community. To complement activities in the classroom and to support older youth to develop new technical and applied skills and experiences, SEAS programs develop paid summer internships for senior secondary students. These programs are delivered in partnership with local organizations like stewardship or guardian programs, Band Councils, local non-profit organizations or companies. Internships provide students the opportunity to receive training and work alongside land and resource officers, guides, and other mentors in their traditional territory. During the SEAS internship program interns may conduct scientific research, work with local fish and hatchery managers, work in local ecotourism businesses, and regularly visit and work in remote parts of their traditional territory. The internship program gives students hands-on experience in biological science, research, resource management and ecotourism operations. In the fall, interns are supported to further pursue related courses and training when they return to high school or post-secondary training after the summer internship program. The SEAS Toolkit was developed as a planning tool for land-based education programs for Indigenous youth. It was created to share and provide ideas, suggestions and guidance to anyone working on developing and delivering these kinds of programs. Please let us know if it has been a helpful planning tool for you or of any suggestions you may have! SEAS programs are developed by communities, for communities, in partnership with Nature United. The first programs were developed in 2009. With the sustained leadership and vision of community partners (and youth feedback), these programs have continued to evolve to best reflect local needs and priorities with respect to youth education and stewardship. SEAS programs are currently active in three communities in the Great Bear Rainforest region of coastal British Columbia, Canada: Bella Bella, Klemtu, and Bella Coola. 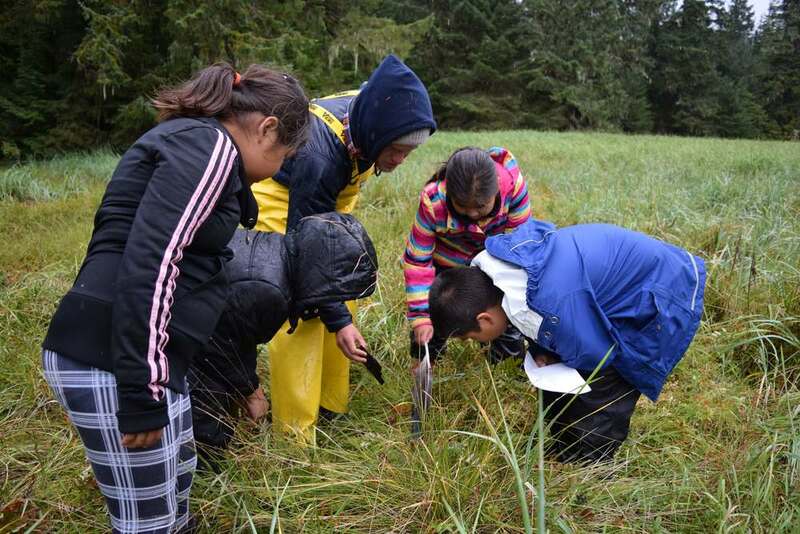 In the Heiltsuk community of Bella Bella, the Bella Bella Community School and Qqs Projects Society have partnered with Nature United to deliver year-round school and summer internship programming. Pacific Wild, together with countless other Heiltsuk community-based programs, organizations, and individuals, also support SEAS activities. Bella Bella Community School also hosts a student Outdoors Club as part of SEAS. In the Kitasoo/Xai'xais community of Klemtu on Swindle Island, the Kitasoo Community School and Kitasoo/Xai'xais Resource Stewardship Office have partnered with Nature United to deliver year-round school and summer internship programming. The Sprit Bear Lodge, works closely with the Resource Stewardship Office to design summer internship and work experiences and and with the school to support student field programs. In the Nuxalk community of Bella Coola, the Acwsalcta School and the Nuxalk Stewardship Office have partnered with Nature United to develop and deliver year-round school and summer internship programming for children and youth. SEAS works closely with the Guardian Watchmen program, families and community members, and the school's language and culture program to support classroom and field-based programs and to develop local summer internships. Nature United also supports the Lutsel K'e youth summer internship program in the Thaidene Nene area of the Northwest Territories. Find out more here. Find out more about what is happening on-the-ground, through the seasons, and during the school year by visiting our community partners' BLOG page. The SEAS Community Initiative is dynamic not only in how it is delivered in each community but also in terms of the supportive community of funders, contributors, local organizations, volunteers, mentors, and families behind it. Every year, and in each community, a unique mix of support coalesces to see these programs organized and delivered on the ground. Core funding and program support is championed by Nature United working collaboratively with community partners to identify needed resources and with donors and partners to bring these resources to bear. Want to get involved in supporting the SEAS Program through program grants, donations, equipment supply, or sponsoring a field trip? Interested in seeing a SEAS Program evolve in your community? Want to share information with us about another program or initiative that aligns with SEAS? Get in touch with us to discuss the possibilities. Please contact us for more information about the SEAS Community Program.